TALUNA plus-sized midi Dirndl in cream and rose. Traditional two-piece midi Dirndl in vintage-look pink floral print cotton. 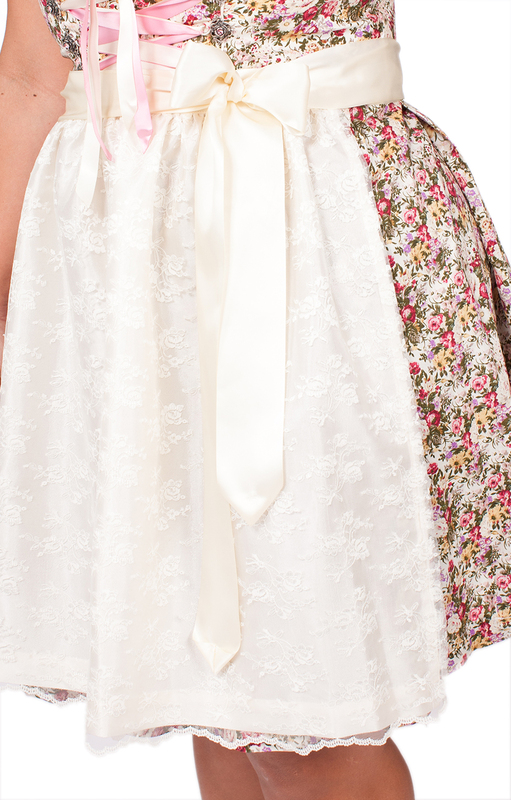 The bodice with sweetheart neckline features an ivory lace trim with tiny pink roses and is laced with pale rose ribbons, while an apron and sash in cream polyester satin complete a very pretty look: ideal for Oktoberfest or spring festivals.